Private half day tour. 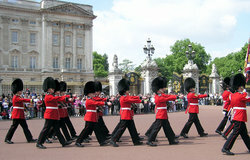 We offer very specialised tours of quality and flexibility. Fully escorted by your own professional Tour Guide showing you the latest and most vibrant developments and Classical London Architecture. Unique opportunity to explore a particular part of London in depth or focus on subjects you like, such as: sport, art, history, theatre, religion, shopping or music. Classical and Modern London almost unknown to the average visitor. London has given its architects a virtually free hand to express their talent. As architects are not afraid to transfer their ideas in their purest state, the result is an extroverted and extraordinary blending of historic and modern. 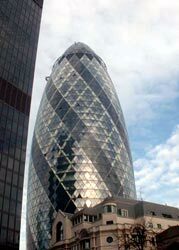 'Gherkin' 590 feet tall. Visible from everywhere. Divided opinion on it's fallic symbolism. Sir Norman Foster landmark curvilinear 40-storey office building in the heart of London's financial centre, is unlike any other ever conceived. With distinctive tapering form that minimises its footprint and effect on the London skyline and eco-friendly glazed skin with lightwells, the building also has a glazed dome at the top with spectacular 360-degree views across the city. A Prize Winner. Another established architectural breakthrough of outstanding daring modern design. 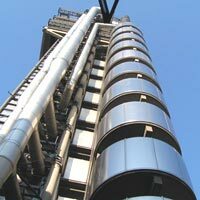 Lloyd's is the world's leading insurance market, housed in an award-winning modern building with origins in a 17th century coffee house. Famous for its inside out design with all the buildings guts on show, allowing for a huge internal space. Groundbreaking new concept by architect Richard Rogers in 1986. 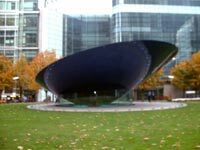 Canada Square. A Project by: Adrian D. Smith, FAIA, RIBA Design. Partner of: Skidmore, Owings and Merrill LLP. The central part of the building is heavily indented and the unusual finishing around its crown "pagoda", makes this design unique in the area surrounding the building. The architectural futuristc sense reaches maximum heights with the revolving UFO nearby. Caused controversy over impractical internal design and high costs buildings. London has many examples of beautiful exterior indulgence. From the Tower of London to outstanding buildings such as the "Cheese Grater" , "The Mobile" many miles away from each other. Flexible tour to set at your own pace. Mix, match and choose.